Yes it certainly can. An automatic gearbox in most instances is actually stronger than a manual so with regards to the power it is more than up to handling it. There are however a few things to note with regard to automatic gearboxes. If you have a DSG gearbox then we are able to modify the software to allow more torque and higher RPMS. If you have an automatic box which isn’t DSG then we are unable to remove the engine RPM limiters so although you get more power, the gearbox will still change at the factory RPM limiter. The software itself is 100% reversible in terms of engine drivability and performance. With modern management systems being more complex there can be trace markers left inside the ECU which the dealer may still be able to see. In respect of selling a vehicle or simply returning to stock, we can ensure the engine operates at 100% factory specification. Unlike the majority of our competition, we are genuine tuners who write and develop all of our own software in house. If you have made modifications to your vehicle which take it beyond our advertised stages of tune then talk to us as we can provide full custom tuning to accommodate the full range of upgrades for modern engines. · Internal DTC’s which only the main dealer can see. · Changes to the ECU flash counter. · By logging the engine parameters to check fuelling and boost levels against factory specification. This is not solely for engine remaps, dealers have the ability to see if you have had or have a tuning box attached to your engine also. In saying this, not all manufactures have this level of ability on their diagnostics so it is not definitive that they will discover it, in reality they very rarely do. We simply advise you that there is every possibility they may regardless of what any other tuning company may tell you. Yes depending upon the generation of your gearbox controller. Some generations do not hold gear to allow a power run to be completed. Where we can source tamper proof bolt replacements we can replace any tamper proof bolts with genuine OE ones so that the ecu cage looks to be untouched. For those where we can not source genuine OE bolts then we will try to utilise compatible bolts and those where this is not possible will leave visible entry marks. Contact us for more information on your specific model. In many circumstances an auto gearbox is actually stronger than the manual variation. However, all of our software is designed to be safe and reliable for all systems. Should there be known limitations of a gearbox, then our software will have been designed to restrict peak torque values. The gearbox controllers are based on torque load and thus will provide you with reduced lag on pickup but will not totally eradicate it due to the communication delay between the ecu and gear box controller. Our software is designed to work along side your gearbox controller to ensure smooth running of your vehicle. The answer to this is very simple as, unlike most UK ‘tuning’ companies, we are genuine software developers who write, and more importantly actually develop, all of our software in house. We are one of the longest standing names in the UK tuning market and have a genuine global dealer network. Our power stats are the result of extensive development programs which ensures we bring the best software to the market giving you maximum performance with maintained reliability! Due to the lack of regulation in the tuning industry there are many so called ‘tuners’, who are usually back street garages, who make great claims without any means of substantiating them. Our power gains are developed and designed for optimum performance and reliability, those companies who don’t have the experience to rival our software may simply tell you it’s above the engines limits whereas the truth is it’s beyond their capabilities. Modern dealer diagnostics have been improved to detect for tuning whether it be a remap or a tuning box. Despite what any company may say to you, there is always a chance that the dealer can detect if it has been tuned. Where not all manufacturers look for this or have the ability we advise that there is always a chance of detection and all tuning carried out on your vehicle is at your discretion. Our pricing has a lot of varying factors to it. There are too many varying factors to be able to give a price on our website. It is for this reason we ask you to submit a quote request with full information of your vehicle, location etc so we can ensure you have the correct price and the full information, for your exact vehicle and at your desired location to make an informed choice. If you wish to have the car reversed back to standard then this is no problem at all. There may be a small charge for the works depending on the vehicle and locality so please call to discuss. It is your responsibility to notify your insurance company. We advise people to make their insurance company aware and can also advise on the best insurers to use for lower premiums. Please be aware that failure to notify of any performance modification to a vehicle can result in your insurance being invalidated. 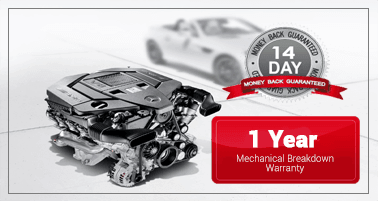 For all vehicles less than 3 years old and 60,000 miles we offer a free 12 month/30,000 miles warranty which is to cover mechanical repairs relating to the remap in the event of a customer losing their manufacturer’s warranty. We do not provide any implied warranty on vehicles outside of manufacturer’s warranty or older than 3 years or 60,000 miles. Our development centre is located in Newquay, Cornwall and operate mobile service throughout England and Wales. If you wish to locate your nearest dealer then it is possible to locate that here. Please note that our network currently covers 28 countries worldwide it is a complex system to maintain all dealers ability to cover all vehicles so it maybe that your nearest dealer does not possess the necessary equipment to complete your car even though we list it on our database. Our mobile service currently covers the whole of England, and most of Wales. Scotland is serviced by our strategic dealer locations. All of which are fully trained to undertake all works. Please contact us for more details. Our mobile service lead times vary depending upon your location, our current scheduling and your flexibility. We aim to operate within a 2-3 week lead time. Sometimes due to busy period this can run longer and where we may of had cancellations/rescheduled appointments can be shorter. We do also operate a cancellation list where by if a customer cancels their appointment then we offer appoinments on a first come first served basis to fill late slots. For current lead times please contact us with your details. Our technicians are equipped with the latest Chip & Pin devices that securely encrypts your data over the mobile networks, we also accept cash, cheque or bank transfer if prepaid. Payment is due upon completion of work after you are happy with the results. If you wish to prepay, we can arrange this.